Sports Rendezvous: Mbappe, Griezmann and Pogba lead France to thrilling World Cup win. 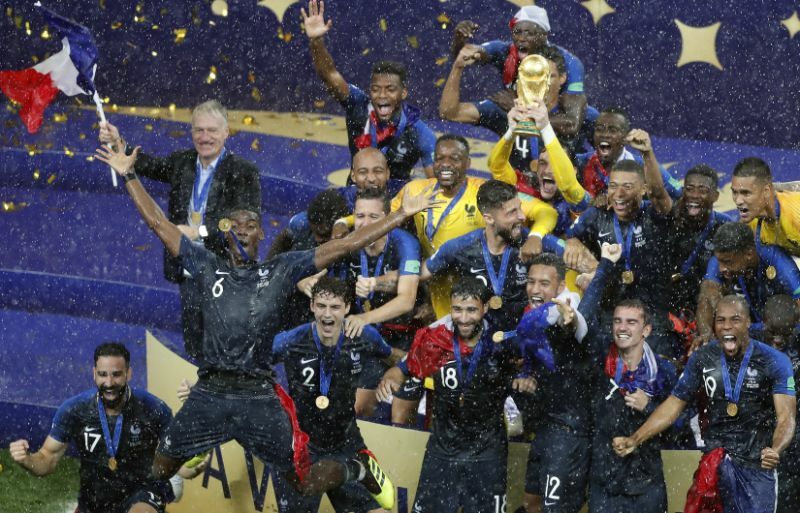 Mbappe, Griezmann and Pogba lead France to thrilling World Cup win. Six goals, an own goal, some goalkeeping howlers and VAR intervention – the Russia 2018 World Cup got the final it deserved. France have won their second World Cup title after they beat Croatia 4-2 in a breathless and thrilling final in Moscow. Mario Mandzukic – whose extra-time antics saw off England to qualify for the final – put the Didier Deschamps’ men in front when his unwitting header flew into his own net. That goal was against the run of play, but Ivan Perisic smashed Croatia level before an Antoine Griezmann penalty – another VAR decision which fell in France’s favour – ensured France led again. Paul Pogba and wonderkid Kylian Mbappe both fired long range efforts in to give France a serious buffer, before Hugo Lloris’ high-profile blunder gave Croatia a lifeline.